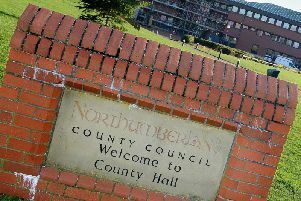 Ponteland Town Council has decided to take a break from the Northumbria in Bloom competition in 2019. The local authority, supported by partner organisations and volunteers, has entered the regional contest for 14 years. It won seven consecutive gold medals up to last year and in 2018, it also won gold in the Britain in Bloom awards. A council spokesman said: “As part of the recent budget deliberations, councillors decided against entry this year to consider improvements to the local environment. “These include plans for works to the rockery on Main Street, a prominent feature in the centre of Ponteland. “The council agreed to continue with the planting of displays and beds to the same standard to ensure that Ponteland looks as colourful and attractive as usual.